﻿I am pledging to live simple during the upcoming holidays. Who wants to pledge with me? Black Friday and Cyber Monday are just around the corner and everyone is making their lists, checking ads and preparing for a long shopping day. I've been known to be at Target at 6 a.m. (this year they are opening at midnight!) and I really do love it. I especially love making a day of it - early morning hot chocolate, shopping, lunch with family, more shopping, collapsing on the couch at night. But, this year I have vowed to take simplier approach. I recently read somewhere that one family was only giving homemade gifts to their kids this year. Another family was going to implement the rule of only 3 gifts per child, like in the Bible, after years of giving them everything under the sun. I truly like both of these ideas. The Holidays are a time of giving and I think we need to remember that. Luckily my kids are still very young and don't even understand Christmas yet, so hopefully we haven't ruined their life yet! Since I already have one homemade gift done, I have been researching some other cute ideas. I challenge all of you reading to really make something for a family member or friend this year that is truly from the heart that you know they will enjoy. I've picked a few of my favorites. I think this one is absolutely adorable. It would be perfect hanging on a front door, a mantle or even in a kid's room. 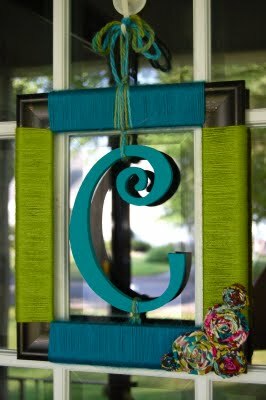 Frame, yarn, wooden initial, it doesn't take much! I'm also pretty sure people would go crazy for these at upcoming Holiday craft shows. I've never made a candle before, but honestly the steps look very easy! ﻿Last year I put together two huge food baskets for some gifts. They were filled with quick breads, cookies, jam, etc. I think both recipients really liked it. They were able to freeze the breads for later eating and have good homemade snacks around during the holidays. This idea takes it one step further and I love it. 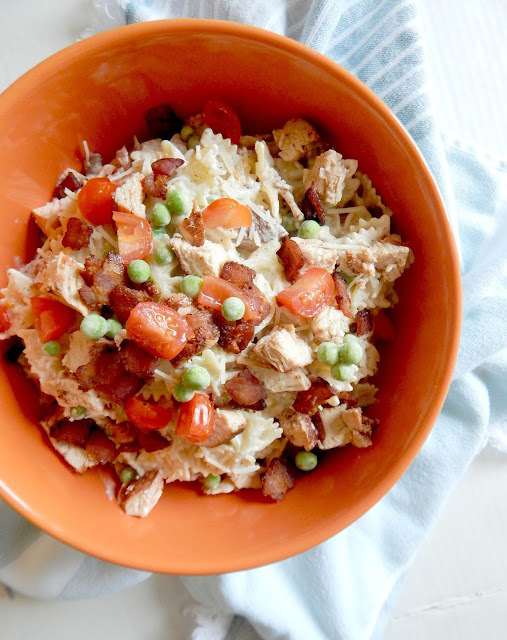 Think of a meal that is easy to assemble, place all of the ingredients (minus the perishables, of course) in a cute container, attach a recipe with directions﻿ and give to a friend or family member who you know is often short on time and would appreciate dinner in a flash. ﻿Who doesn't have an old cookie sheet that is brown, cruddy and on its last leg? 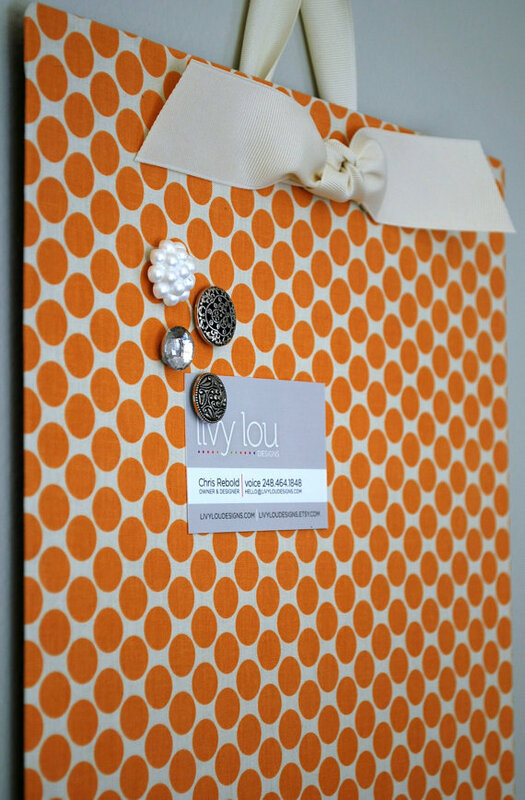 If you do turn it into this magnet board, that can be hung in a home office, at work, or your kitchen for all those to-do lists, pictures, kid's artwork, etc. that usually clutters the refrigerator. 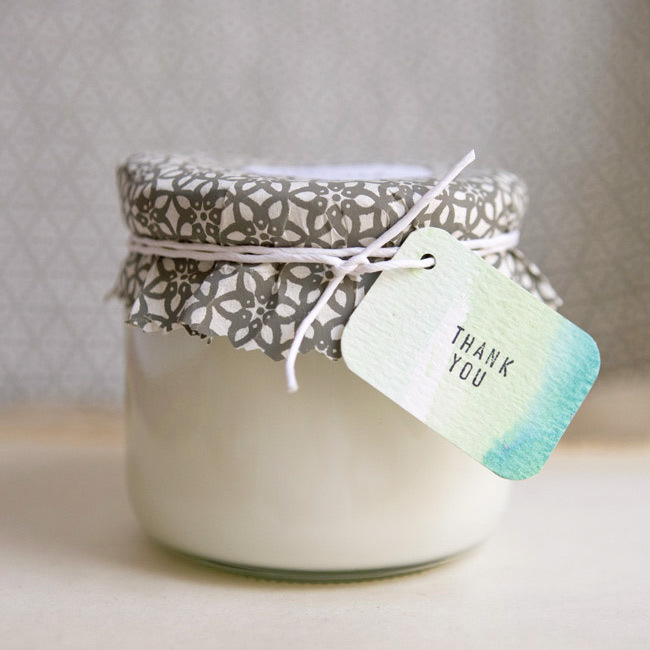 I hope one of these DIY Holiday Gifts called out to you and has put you on the path of a simplier holiday. Remember, most people would just enjoy being around family, eating a good meal and maybe receiving something small as a token of the Holiday. It doesn't have to be big, cost a fortune or state-of-the-art. It just needs to come from the heart. What DIY gifts have you made in the past? I'd love to have more ideas! That pasta gift basket is such a great idea! What a great post. I can't say that I am ready to give all homemade gifts, but I can say my homemade gifts are my favorites. We do 'gratitude baskets' each year. I make a ton of homemade treats from burnt almonds to cookies and bars, cocoa mix and chocolate dipped spoons. We take a couple days off the week before Christmas and give these gifts to those who have touched our lives. Including bankers, mechanics, friends, post man, neighbors... We also put in a card that tells about our tradition and thanks them for blessing our lives. These are great ideas. I've done similar gift baskets with food items in the past. I've done popcorn movie night baskets with either gift cards or dvds, chocolates and soda. Cozy night baskets for a couple of my girlfriends included fuzzy socks, a comfy throw and a pretty journal along with either wine or chocolates. One year, I made massive quantities of our favorites cookies and flash froze the dough in little scooped balls. I then bagged the different doughs, along with directions for baking, in a basket with hot pads and spatula. That way, the recipients weren't flooded with more baked goods, but they could tuck the dough into their freezers until they wanted just a few warm cookies. I love homemade gifts! I don't do them for everyone, but I do make at least a few of them each year. Such great ideas! I love them all. I've been getting all kinds of good ideas for DIY gifts from Pinterest this year and plan to make a lot more gifts this year. 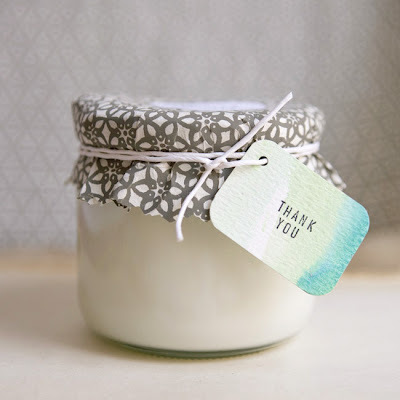 I love the idea of homemade gifts! I am giving away homemade gifts this year. I love receiving homemade gifts more than anything from a store. Something from the heart and home says more to me because that person thought enough to make something unique to my style. Great blog as usual, Ally. I'm always trying to keep Christmas on the simple side for our kids, we definitely stick to a budget but I've been trying to convince my husband of the 3 gift rule also. They receive so many wonderful gifts from our family members that I don't feel it's necessary for us to go overboard. I do try to make at least a few homemade gifts each year. I've done those tie fleece blankets before, made up various themed gift baskets and my favorite tradition is making up cookie tins to give away each year. I bake LOTS of cookies and make candies during the last couple weeks before Christmas. I freeze the cookies/candies and then package up around 15 tins (that I pick up really cheap from the Christmas before) to give to family members and close friends. It's something that I love to do and I know they love receiving them each year! love these diy ideas! i am really contemplating making candles! All great ideas, thanks for sharing on the Frugal Tuesday Tip. Thanks for the DIY gift ideas. I love the idea of living more simply. Thanks so much for linking up at the C&C Homemade Christmas Linky! Love the post!